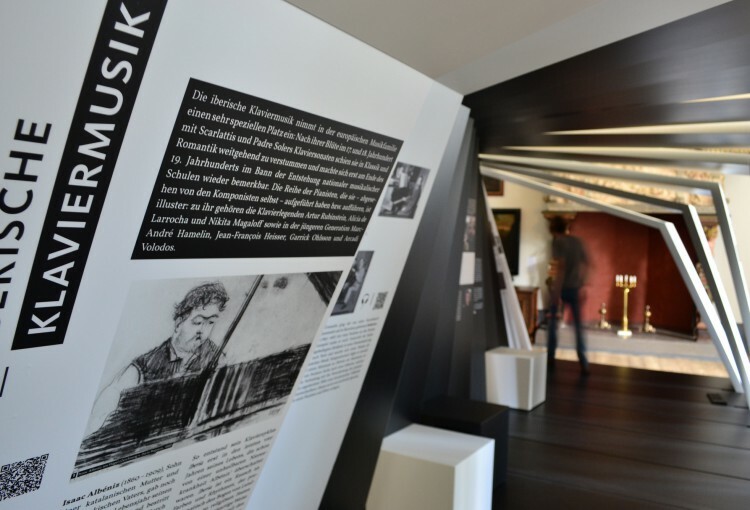 In the summer of 2015, during the Rarities Festival of piano music, held every year at the Schloss vor Husum (Husum Castle), the touring exhibition “The Fascinating World of the Piano” was shown for the first time. 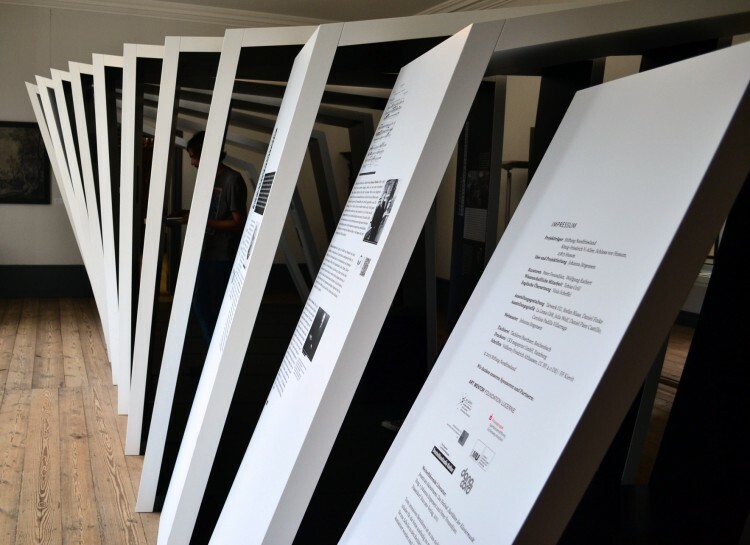 The exhibition is a journey through the cross section of piano literature. 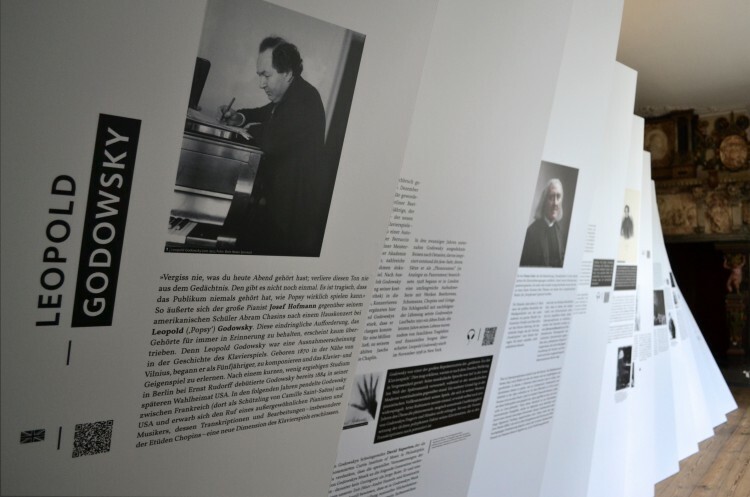 It follws the concept of Mr. Peter Froundjian, founder of the festival, whos intention is to commemorate the broad variety piano pieces that emerged during the nineteenth century. 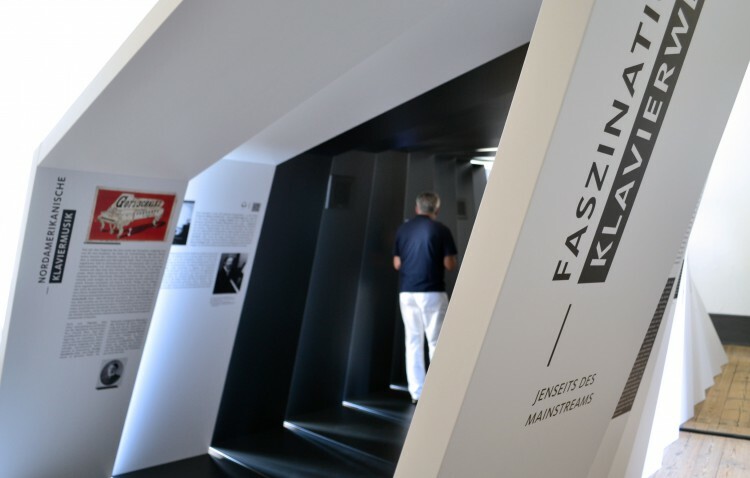 The exhibition is dedicated to the great loners; outsiders in their time and legends of piano music. It emphasizes the role of national schools and as part of the exhibition introduces genres that were undervalued. Each topic is accompanied by an audio track. From the concept of the piano keys, an architecture is created. 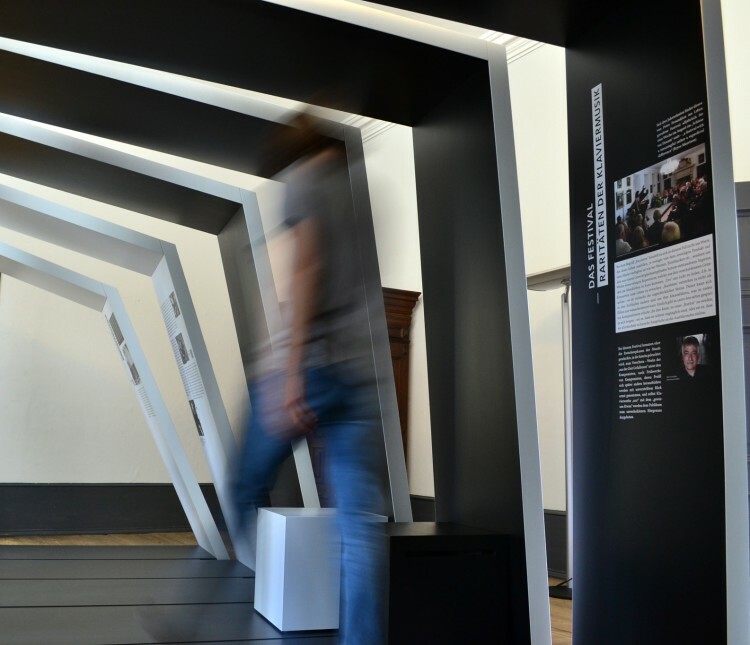 The exterior of the space provides information and its interior offers an atmosphere of silence, inviting visitors to listen to selected pieces for piano.